Jaguar produced an industry- first when they developed the Aluminum Jaguar XJ in 2004 and then the Aluminum Jaguar XK in 2007. By using rivet-bonding construction for an aluminum-intensive monocoque body they created vehicles that are lighter than the equivalent steel body, but carry significantly less kinetic energy in a collision. By reducing the amount of energy absorbed by the body of the vehicle it protects the integrity of the passenger cabin keeping its passengers safe. 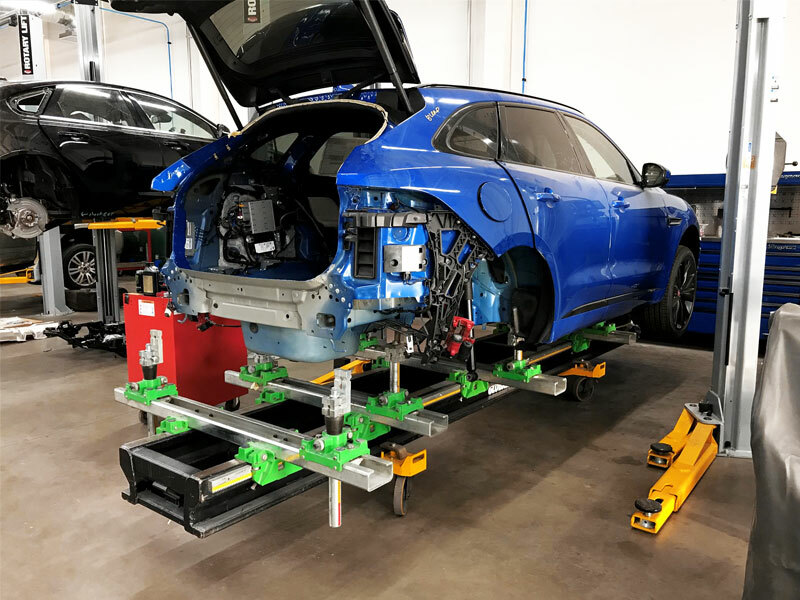 Jaguar North America has established one of the largest authorized aluminum repair networks in the world to ensure the vehicle is repaired to Jaguar standards. It is essential that all body and paint repairs be performed by an authorized repair facility to ensure that the vehicles integrity is not compromised. Our unique clean room enables us to repair every aluminum vehicle in a sterile environment. The equipment required to repair this vehicle is different than its steel counterparts. A heavy investment in Jaguar's approved equipment keeps us a step ahead in the industry. 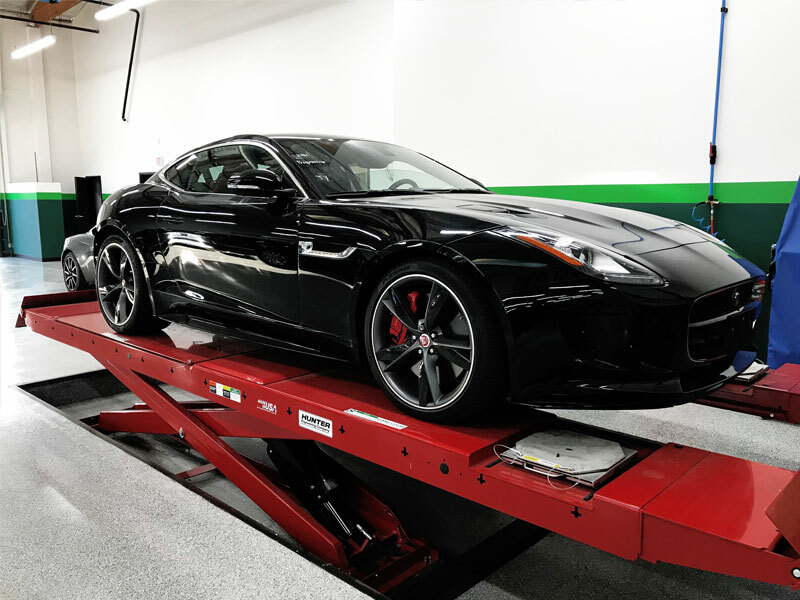 Each of our Aluminum Jaguar technicians have been certified by Jaguar North America to perform all types of structural repairs. 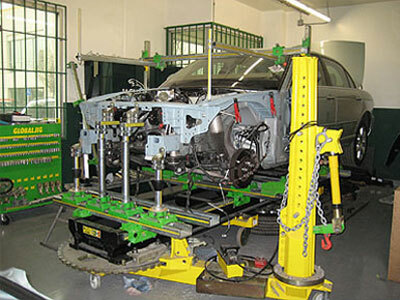 We are proud to use the GlobalJig System endorsed by Jaguar to repair structural damages to the aluminum bodied Jaguar. The aluminum Jaguar XK is the next generation of the Jaguar Sports Car. Jaguar has always taken pride in its elegance and emotional beauty. 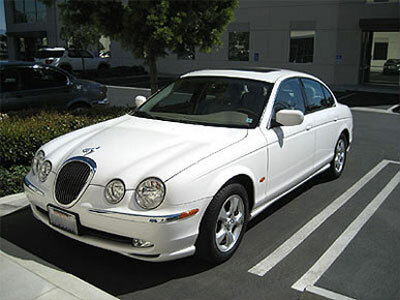 We can duplicate every cosmetic aspect true to Jaguar. 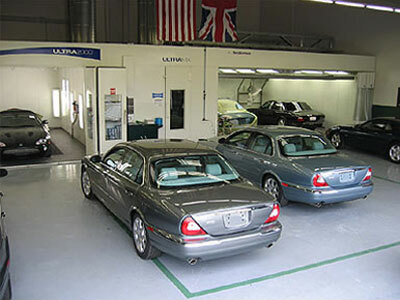 We use Standox paint, approved by Jaguar, to ensure a perfect color match when applied in our State-of-the-Art climate controlled spray booth. We have created a Jaguar color library dating back to 1980 and can promise every Jaguar customer a perfect finish. The S Type is manufactured in a State-of-the-Art facility in the United Kingdom that is known for its unparalleled quality. From the factory, Jaguars are equipped with a four-coat paint process. We are able to reproduce this paint finish in our facility. After the painting process a trained technician hand fits and installs all components necessary for re-assembly. Our reputation depends on your satisfaction. Every Jaguar is re-assembled to factory specifications. We hold in high regard that you will continue to enjoy your Jaguar for years to come.